Isaac Asimov’s three laws of robotics state that a synthetic life form may not injure a human being or, through inaction, allow a human being to come to harm; instead, it must obey the orders given it by human beings except where such orders would conflict with the First Law. Finally, a robot must also protect its own existence as long as such protection does not conflict with the First or Second Laws. Ripping up that rulebook today is the haunting first trailer for Luke Scott’s directorial debut, Morgan, a brainy sci-fi thriller that has Kate Mara and Co. confront the titular, unruly and terrifyingly sentient artificial life form. Like a darker version of Alex Garland’s brilliant Ex Machina, Morgan opens in a top-secret research lab where – surprise! – their synthetic test subject blows past just about everyone’s expectations to become a rapidly evolving, trans-human being. Stepping into the shoes of Morgan is Anya Taylor-Joy (The Witch), and today’s teaser trailer builds up her quasi-reveal rather masterfully. There’s also a pair of screenshots for Scott’s feature included in the gallery below, while the filmmaker also touched base on the existential themes coursing through the veins of Morgan in an interview with Entertainment Weekly. Morgan boots online on September 2. 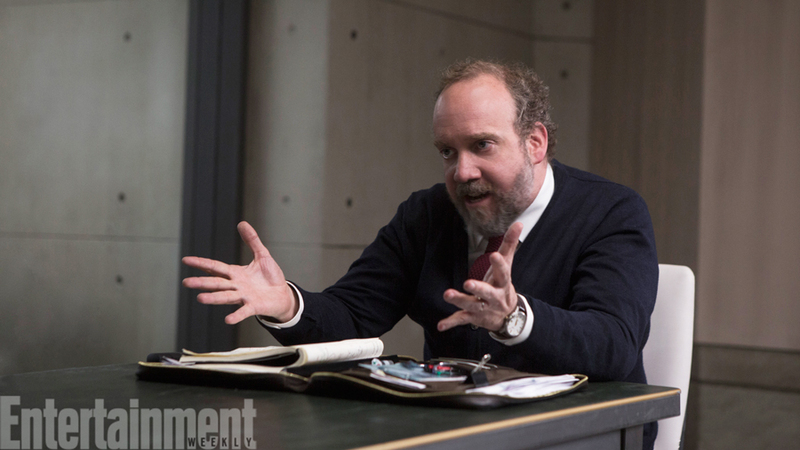 Paul Giamatti and Toby Jones also star.